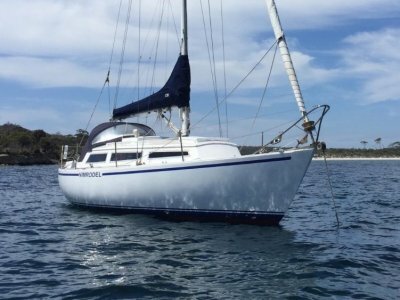 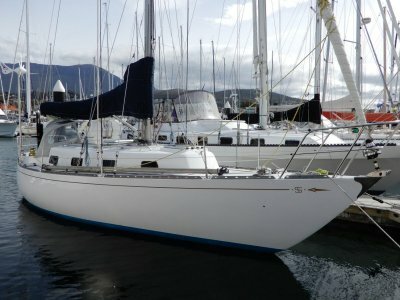 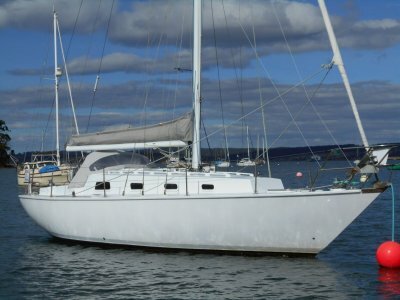 Regrettably for sale due to ill health, and once regarded as one of the BEST YACHT, MOTOR SAILER CROSS OVER DESIGNS ON THE RIVER. 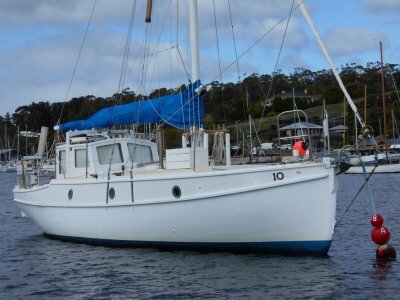 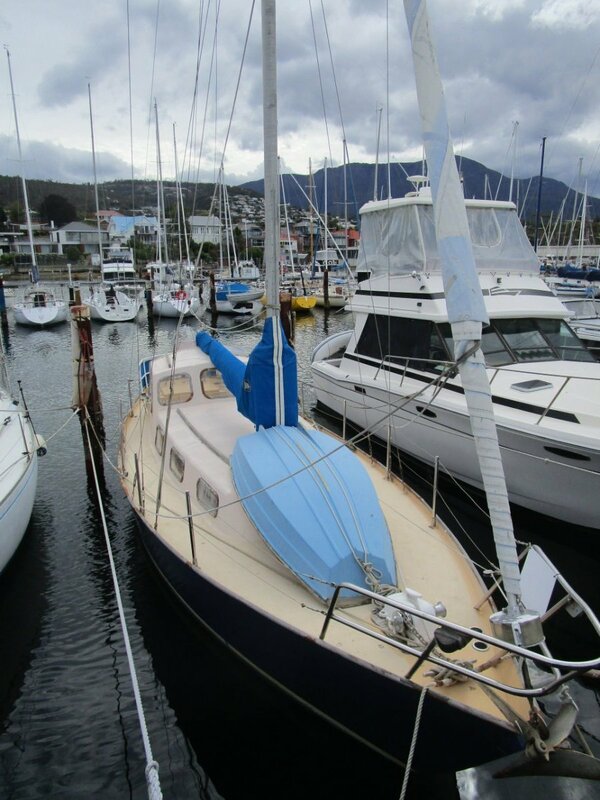 Designed and built originally for the Tasmanian Yanmar Dealer Mr E. E. Howard and resided in "Snobs Corner" in Sandy Bay for many years being admired by many. 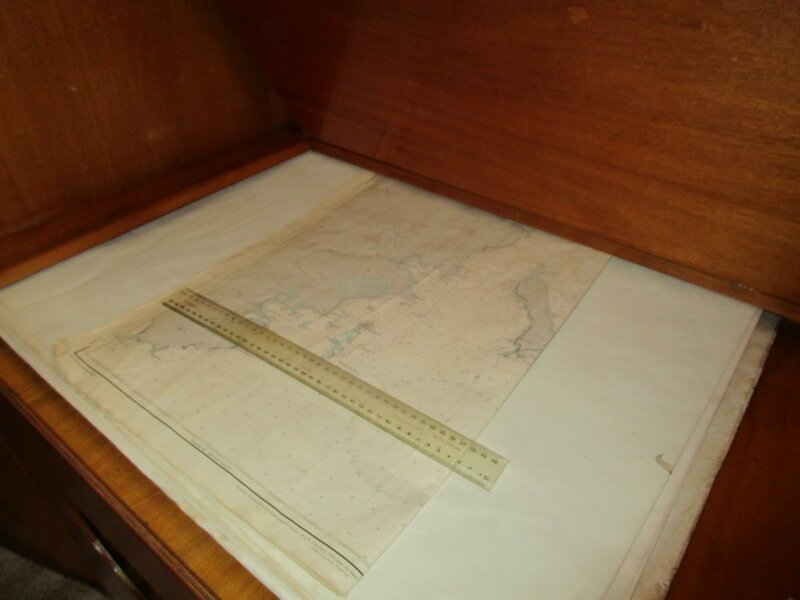 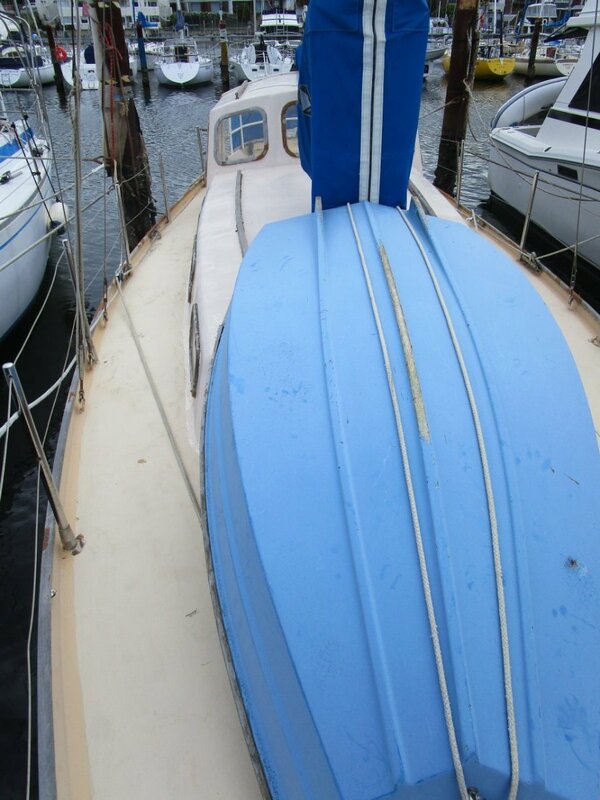 Now available at a very realistic price given the age of the boat but still with timeless appeal, the boat PRESENTS A GREAT OPPORTUNITY TO PURCHASE AT A BARGAIN PRICE and with only a bit of TLC restore the boat to its previous excellent order. 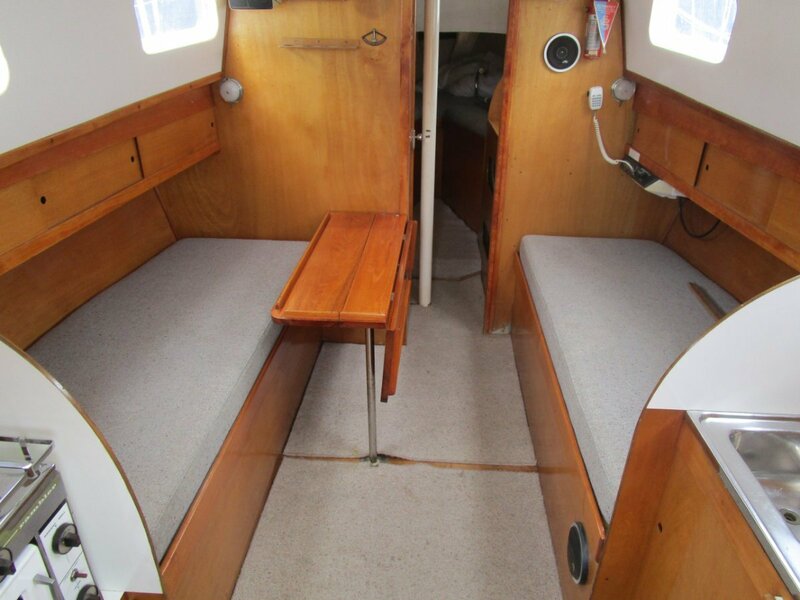 100 ltrs in two separate tanks under the settee berths. 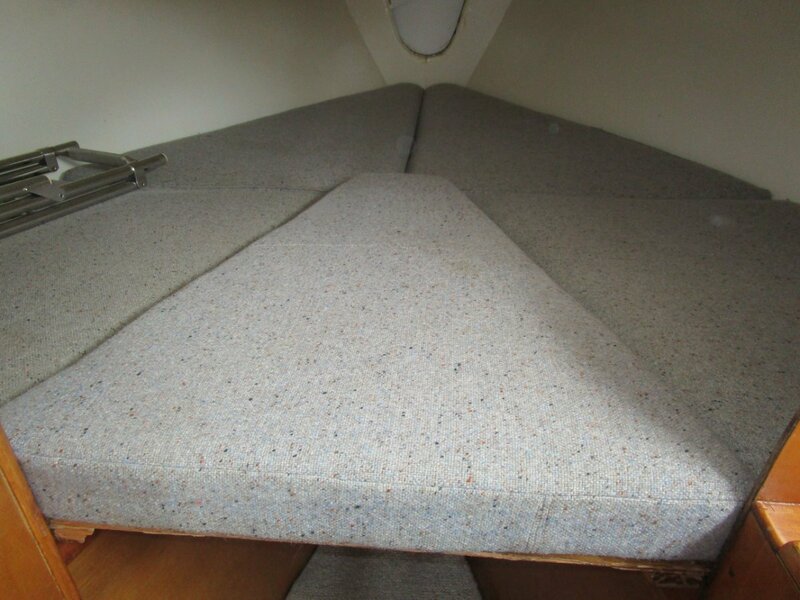 Fixed laminated spray dodger with windowed sides. 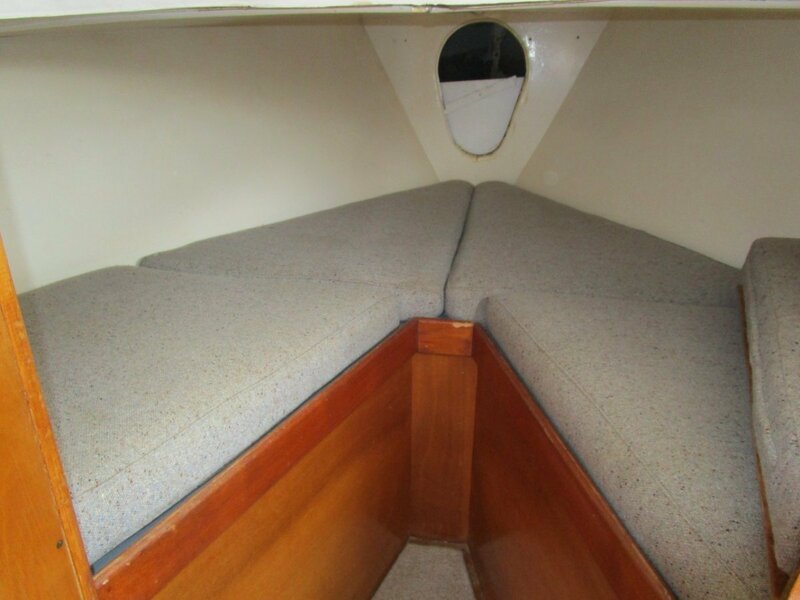 Below decks the main saloon is spacious with full standing headroom. 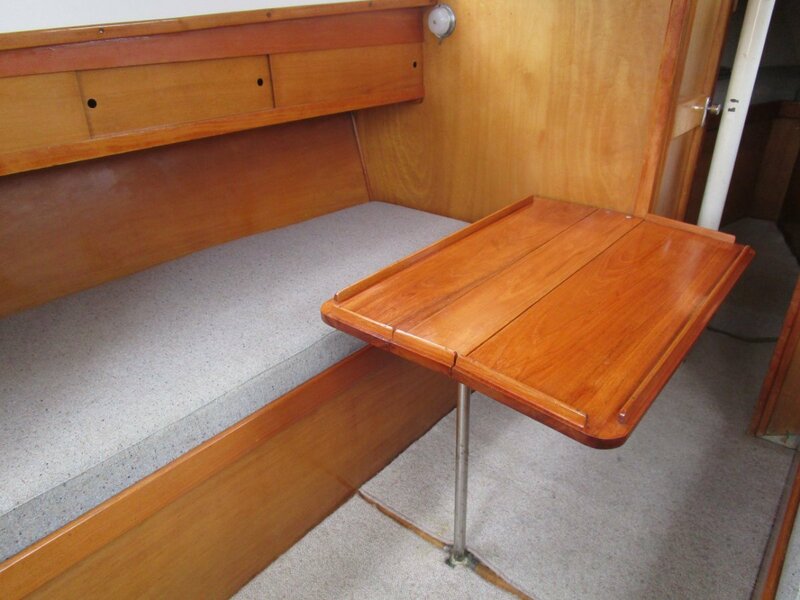 The settee 3/4 berths afford comfortable seating at the timber side folding dining table. 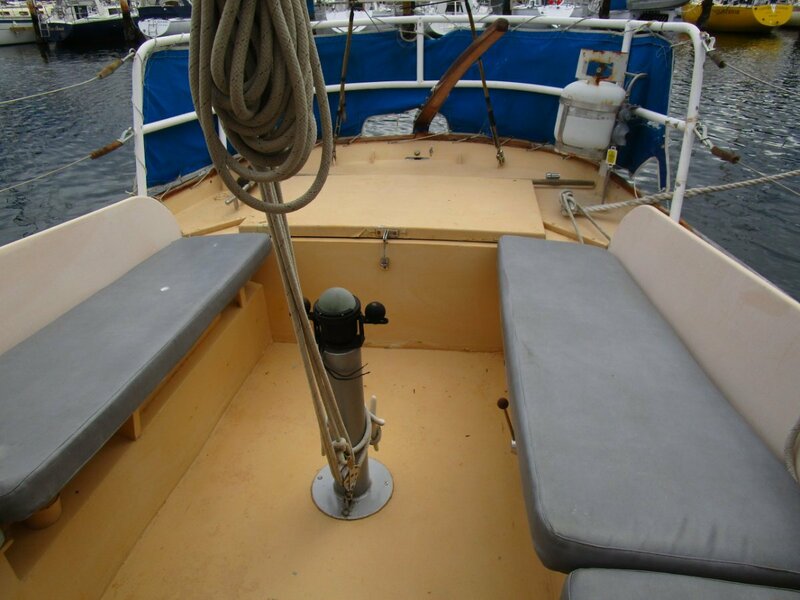 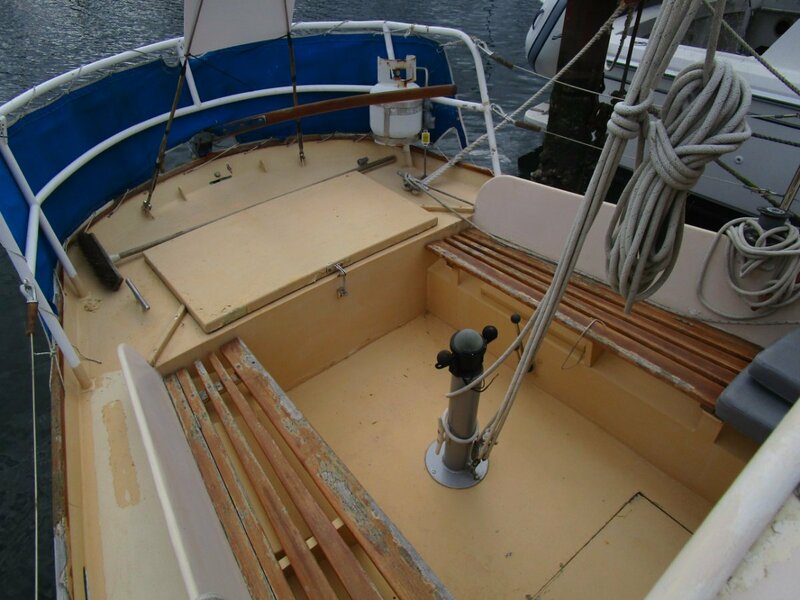 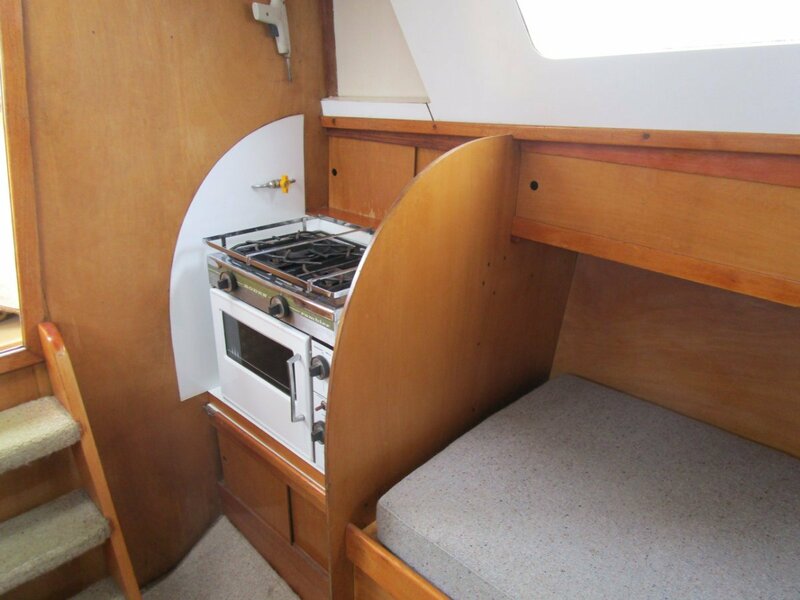 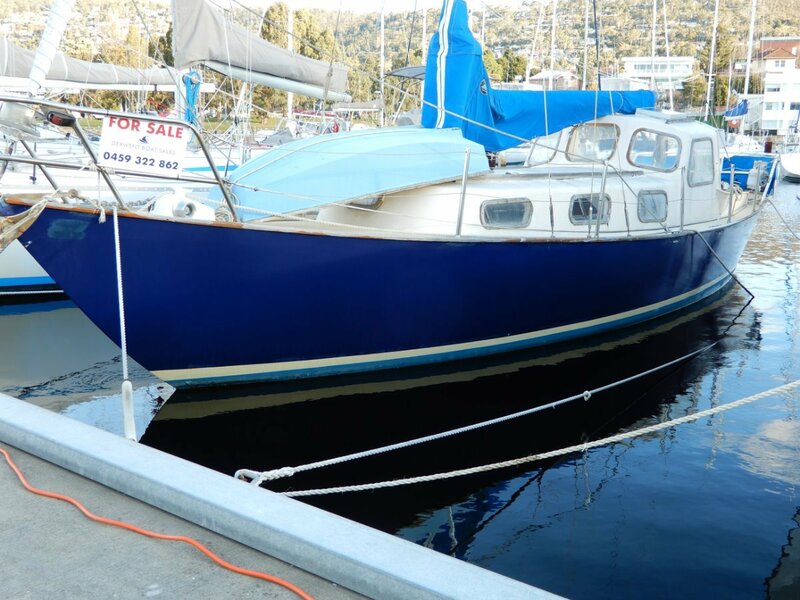 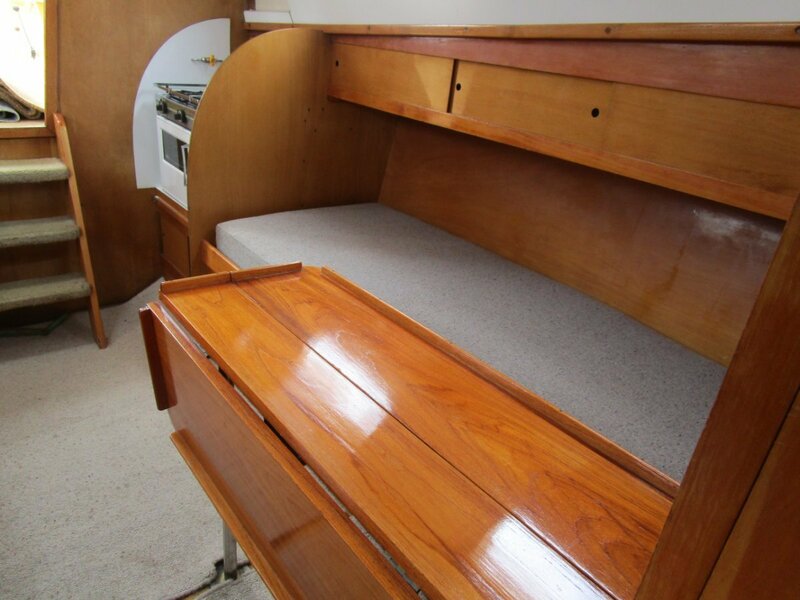 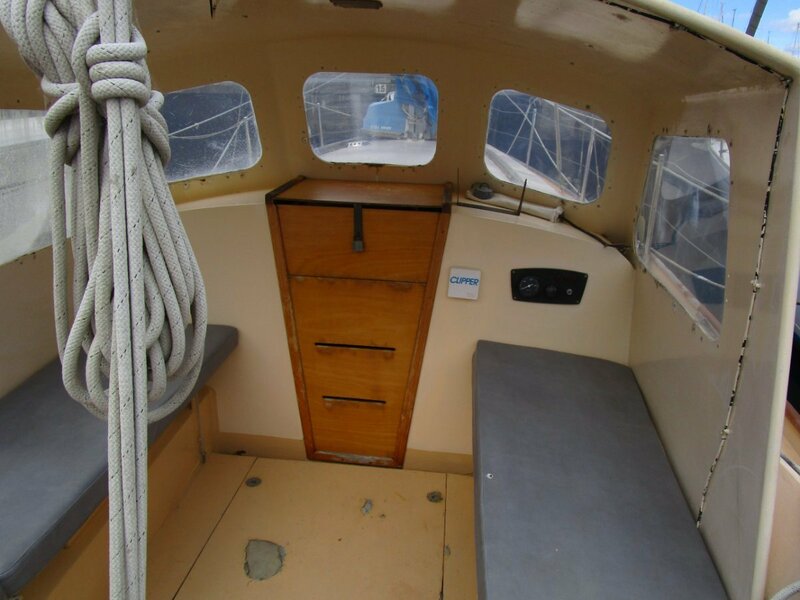 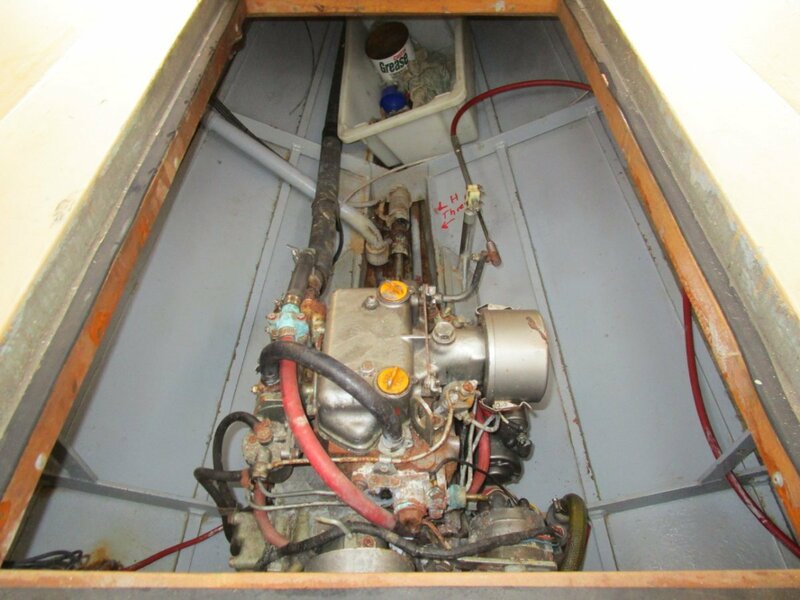 The stove is located at the bottom of the companionway to port and a stainless steel sink and bench top is located to starboard. 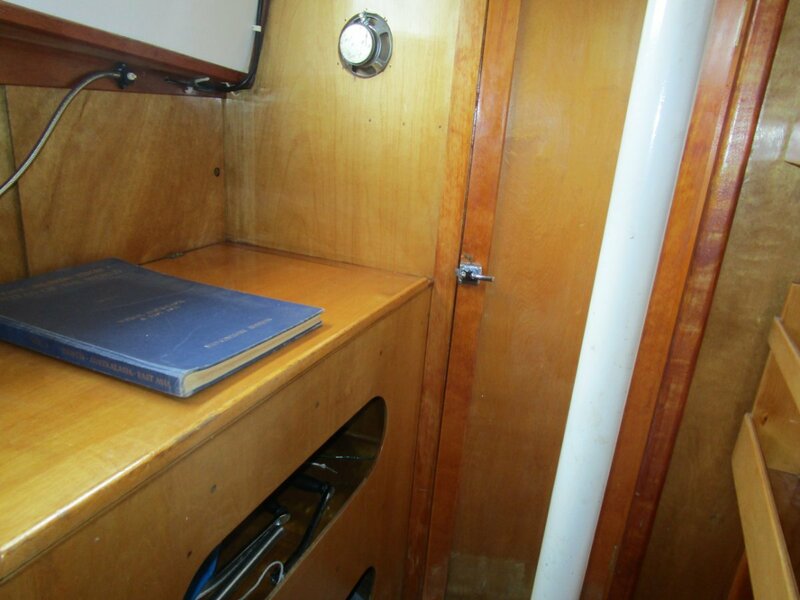 The slide away food preparation board is a nice touch. 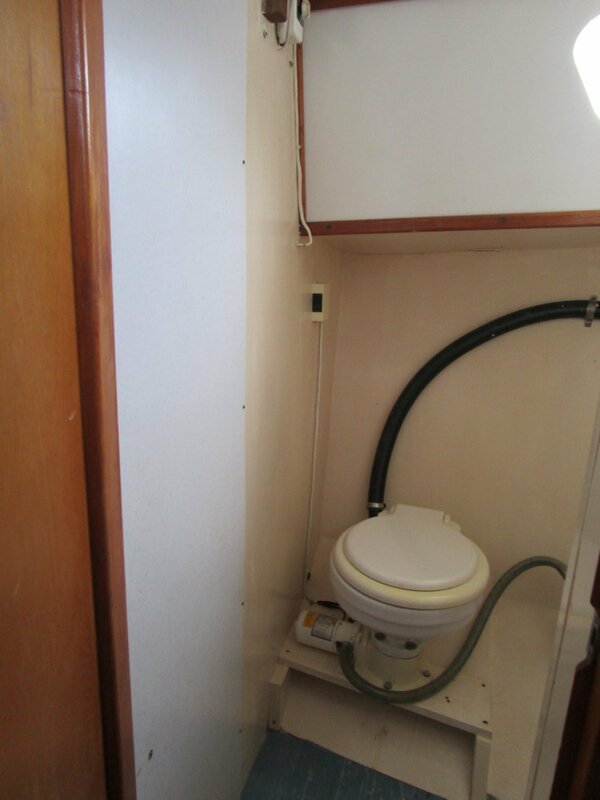 The forward berth behind the bulkhead is more than adequate for two people and the toilet is closeted to port with the door when opened, providing privacy. 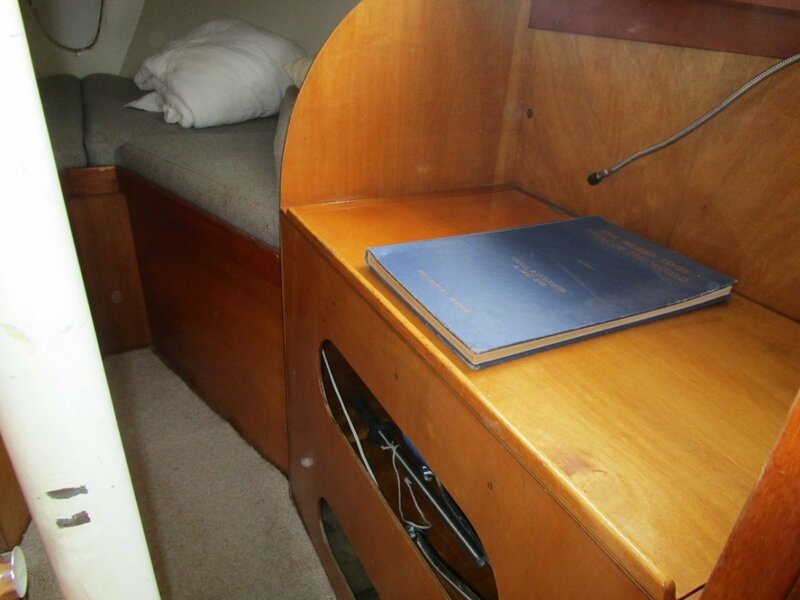 Schneider AM/FM stereo with 2 cabin speakers. 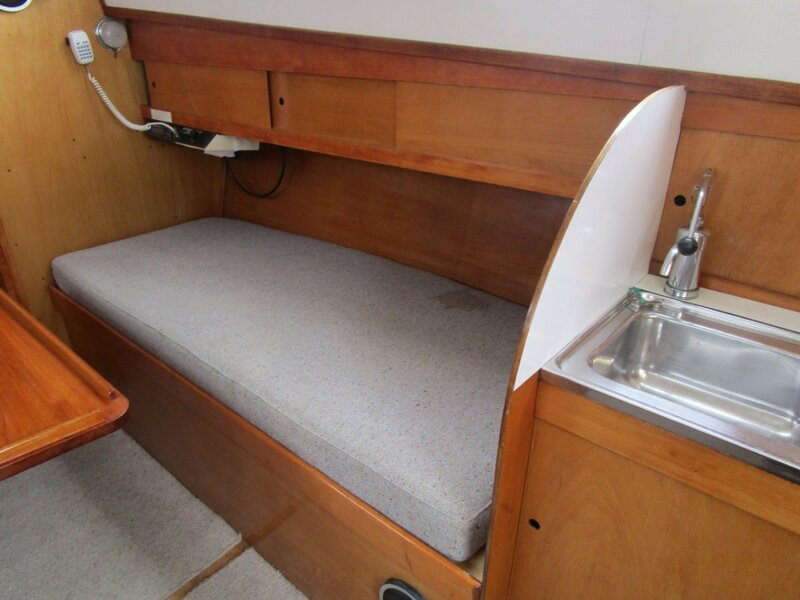 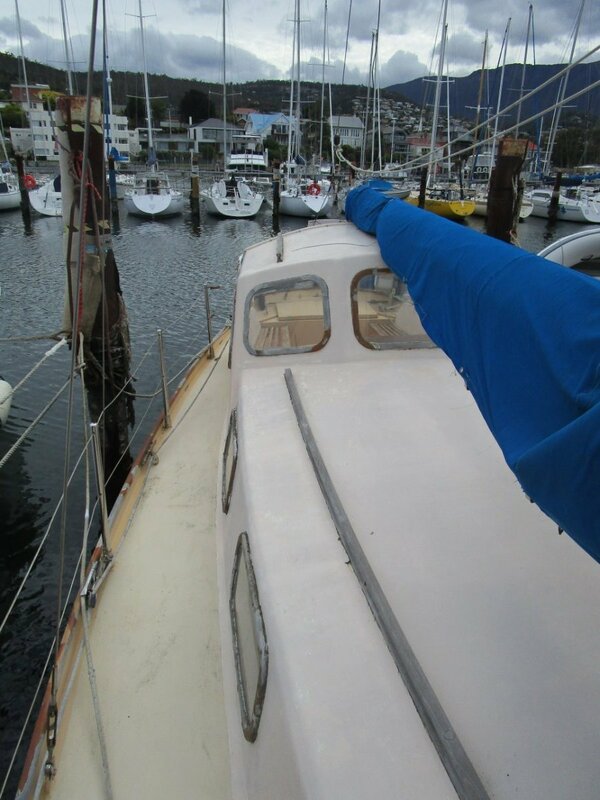 A two burner gas stove with oven and grill is conveniently located to port at the bottom of the companionway. 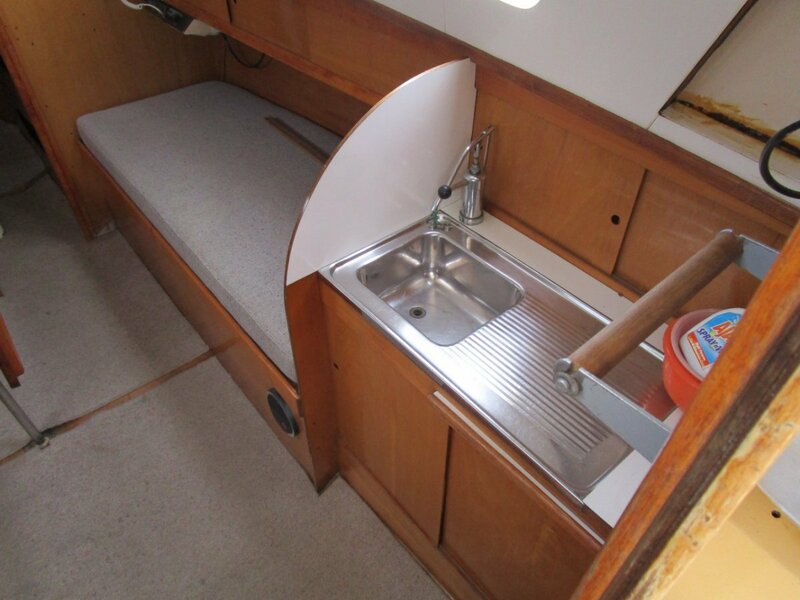 Opposite to starboard is a stainless steel sink and bench top with a slide away food preparation bench. 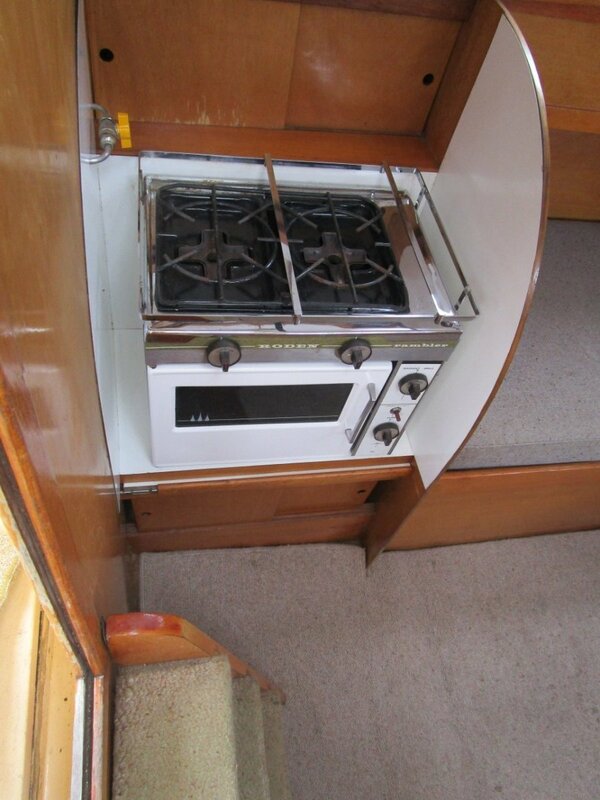 2 burner gas stove with oven and griller. 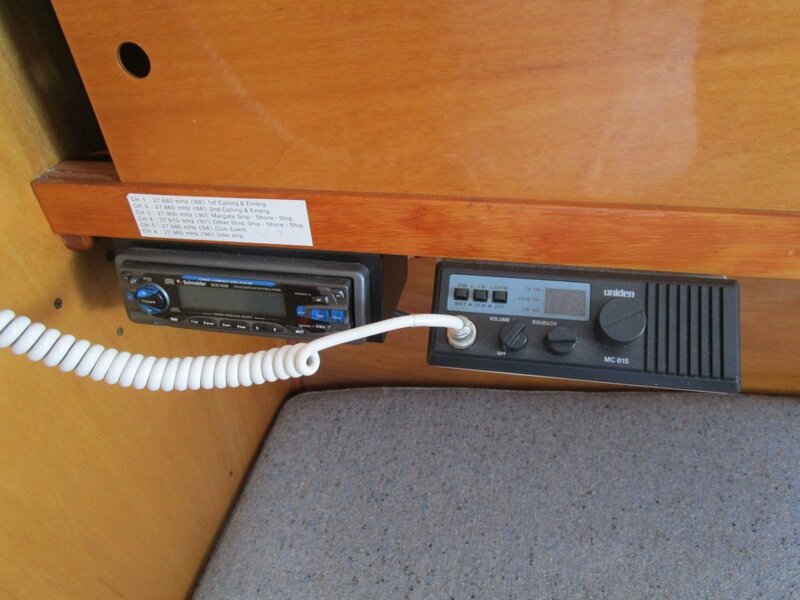 1 x Uniden MC615 radio. 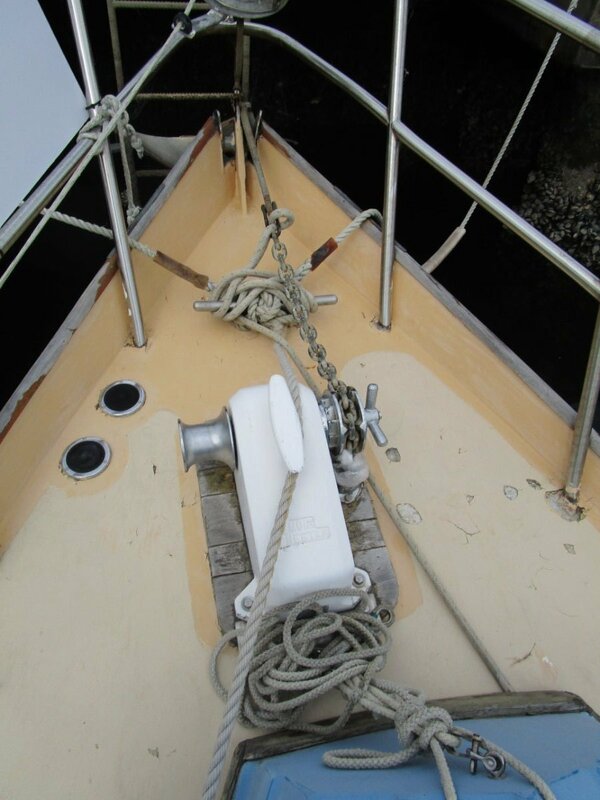 Muir Cheetah 12v anchor winch. 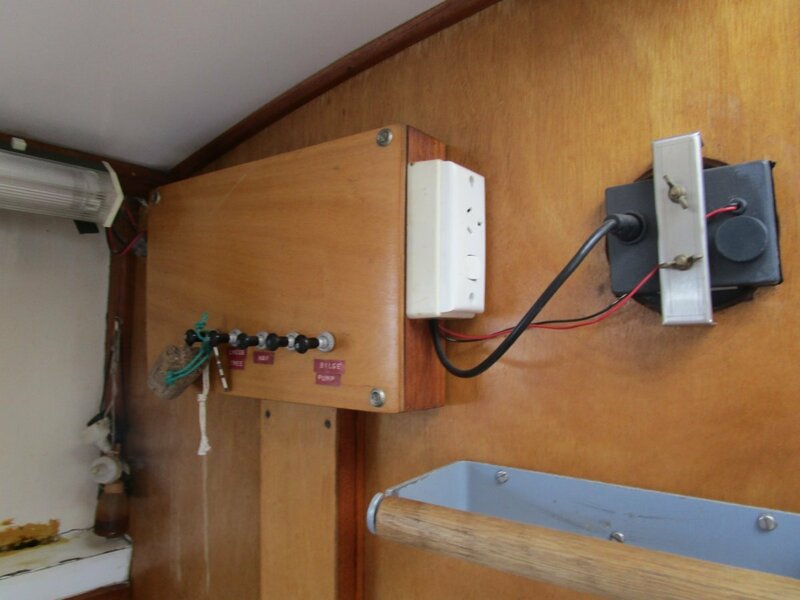 2 x Barlow 20 winches.